Make room in your luggage to bring along your favourite eyewear styles. 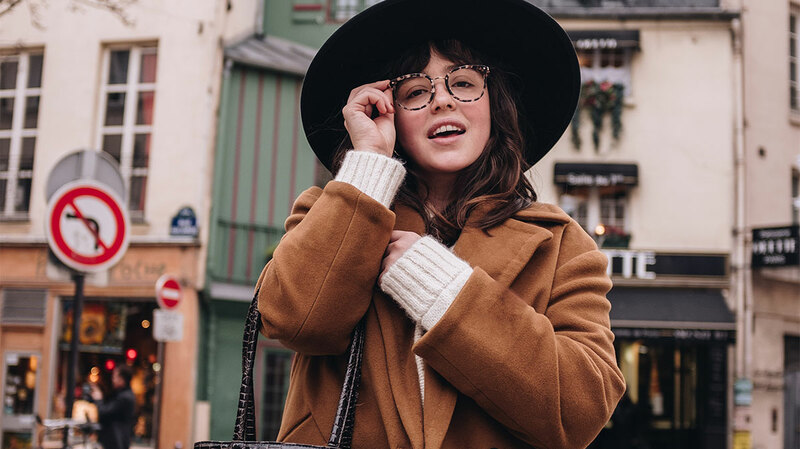 Montreal-based photographer and content creator Sarah Babineau took us along on her recent escape to Paris, giving us a crash course on how to do chic eyewear no matter where in the world you happen to find yourself. See our suggestions for how to make the most of your trip to Paris while looking your best doing it. 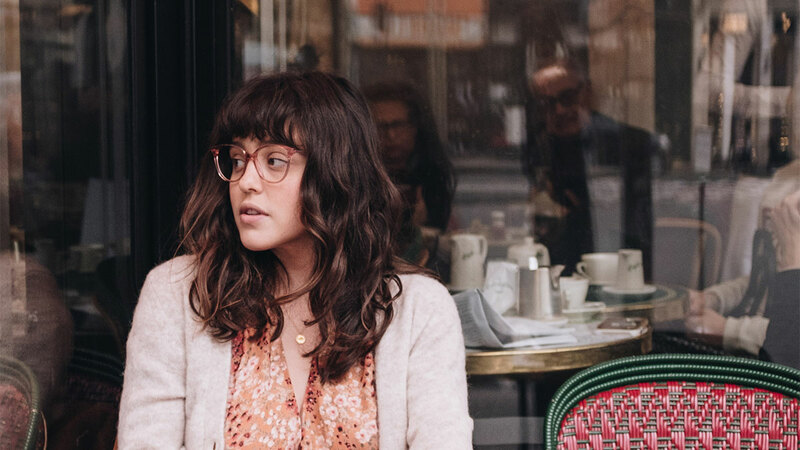 Pictured above: Sarah wears the Illusion frame in Terra. Whether you're more of a high-end designer shopper or well-versed in the world of vintage, it’s no exaggeration to say that Paris is home to some of the world's best shopping. Period. Check out some famous shops for pre-loved designer goods, like THANX GOD I'm a V.I.P, Kilo Shop, or Nous. Bring along an empty suitcase upon departure for extra space exclusively intended for packing up new purchases so you can stock up on as many one-of-a-kind pieces you can find. 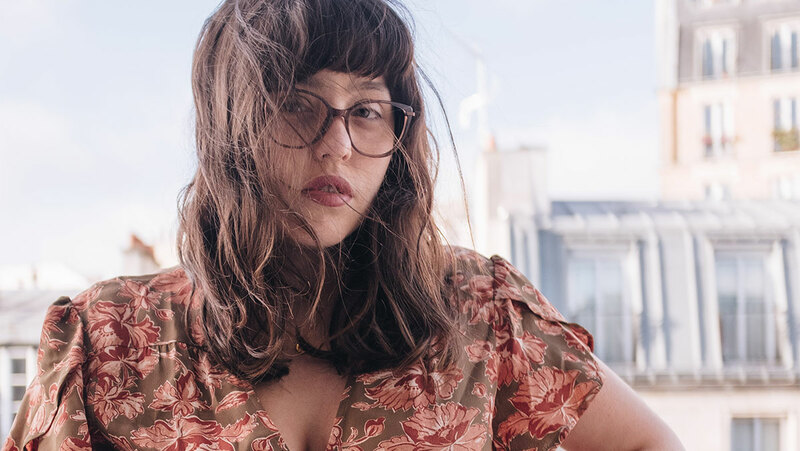 Pair your vintage styles with some oversized, statement glasses—Sarah’s Amaze in Mocha Tortoise are a great way to tie together any look. Museums. Shops. Green spaces. In the City of Lights, you'll find inspiration pretty much everywhere you look, whether it be the famous Champs-Élysées street, the French baroque architecture, inspiring art at the Louvre or Musée d’Orsay, to all of the sprawling and lush gardens spread across the city. Sarah's street style is suitable for sightseeing—she’ll feel right at home on a park bench at either the Jardins des Tuileries or Luxembourg, both picturesque spots for some picnic blanket-lounging in sunny weather, or for a bundled-up stroll on colder days. If you're keen to explore all of Paris' winding streets, the must-visit neighbourhood is of course, the Marais, complete with winding roads and an eclectic mix of shops and cafés. No matter what sights you choose to see, do like Sarah and slip on an everyday frame like Imagine II in Rose Marble. Ask anyone: France is world-famous for its cuisine. From traditional French fare to the more modern culinary experiences cropping up all over the city, the gastronomist in you will be delighted with just about all of the meal options. It just so happens that people-watching is a preferred pastime of Parisians as so many of the city's restaurants and cafés have terraces facing the streets and sidewalks, so you can watch the world go by while sipping your espresso or munching on your salade niçoise. Pro-tip: don't make your gazing too obvious. Instead, slip on and hide behind some oversized sunnies—you’ll look and feel like a local. Two words: très cool. Every vacation requires a little downtime and where you choose to rest your head is a vital part of any voyage, but such is especially true in a city like Paris. Luckily, it's home to a considerable number of charmingly French and cozy places to board. Book the right hotel for that home-away-from-home feeling. Bonus points if your room’s festooned with striking wall art or patterned wallpaper, either make for the ideal backdrop for your vacation selfies and will ensure you'll be the envy of your Instagram following. 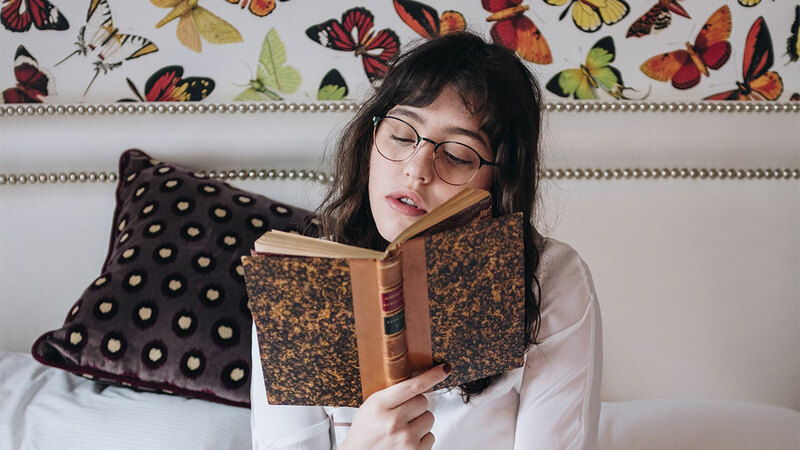 Take it from Sarah (pictured here in the Bay II glasses in Émeraude): a little R&R is necessary, so you can recharge between outings and adventures. We suggest you book your stay at the Amour Hotels in the 9th arrondissement, a quaint, boutique hotel with eclectic décors like disco balls, vintage furniture, and spray-painted graffiti on the walls that differs from one room to the next. Just make sure to leave plenty of room on the bedside table for your different pairs of glasses.